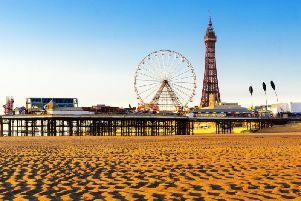 The weather in Blackpool is set to be a mixed bag today, as forecasters predict a mixture of heavy and light rain, sunny spells and cloud. However, temperatures are set to cool towards the end of the week. This morning will see heavy and light rain throughout the morning, easing by 12pm. The temperature will reach 7C by lunchtime. Rain will ease by early afternoon, with a mixture of sunny spells and cloud throughout the rest of the afternoon and the temperature remaining at 7C. This evening will become quickly dark, with the temperature dipping after 5pm. Light rain will hit from 5pm to 7pm and then again from 9pm to 11pm. The temperature overnight will dip to 3C. Tomorrow will see temperatures plummet, with a daytime temperature of 5C and an overnight temperature of -1C. Friday to Sunday will see a maximum temperature of 4C, with a minimum temperature of 1C. Looking further ahead, the Met Office UK outlook for Sunday 20 Jan to Tuesday 29 Jan said: “Sunday will be cold across the UK, but for many it will be dry; brightest in the southeast. “Some light rain or sleet is possible in the southwest at first; then a band of rain, sleet and snow is likely to spread across the northwest later, moving erratically southeast.